Here we go again. Everyone is in an uproar because these overpaid atheist bisexual wife beating athletes (and no, not all NFL players do these things) that don’t want to stand for the national anthem. Trust me, they aren’t even doing it for the right reasons. The solution for those who are angered by this is to not watch these guys run around on Sundays right? Maybe go to Church instead? But I am willing to bet they still watch the game with their jerseys on and their beers in hand. And how many of these “angry birds” that are in a uproar about all this, actually stand during the anthem in their own homes? I’m willing to assume most of these people have pledged there allegiance to a flag and stood for the national anthem more than they have actually prayed in Jesus name. Or prayed at all for that matter. Who wants to challenge me on that? With me feeling the way I do doesn’t make me someone who doesn’t appreciate where I’m from and where I live. It doesn’t make me a communist or socialist. I love America just like the next guy, but not in a patriotic nationalistic brown shirt type of way. Just like you, I like to drive my car that I have to have permission from the government to drive. I can freely drive anywhere I please as long as I have my state issued mandatory ID that works well with my state approved car insurance that I get once my state smog is approved along with my state approved tags that keep me rollin’. So yeah, just like you I like to drive freely around this country. With all the right documents of course and a little bit of payment to the “man”. 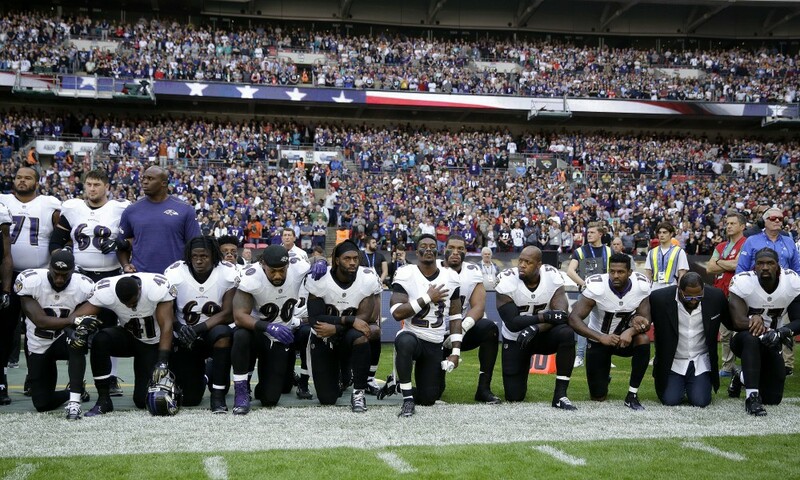 The guys doing this “not standing for the anthem” aren’t even doing it for the right reason. They are trying to making a political statement with Black Lives Matter or injustice or whatever…blah blah blah. If I soldout and made 8 million a season to run around for Satanists, I would do what my handelers told me to do. Who knows, maybe they are just being good taking parrots. Ironically, the proper etiquette for those who are to address a king Would be to kneel not stand. There is double irony in this one. Let me explain something to you. According to the official flag code, the flag is a living entity. I will not or do not pledge my allegiance to any living thing, especially a red and blue flag. And I don’t care who’s flag it is. I pledge my allegiance to Jesus Christ the Son of GOD. This is where my allegiance goes to. Not to a country that thinks I’m just a number on the stock exchange. So don’t call me this or that and don’t say I dishonor those who died for this country because I won’t pledge my allegiance to a flag. I care more about those who have died for this country than most of the elected officials. I bet most of you can name more NFL players than you can of those who died at war? You wanna go there? 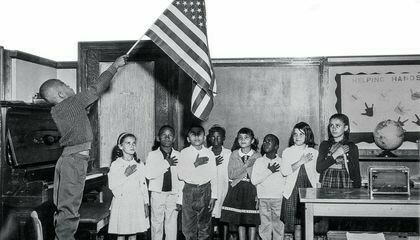 If you feel like you need to pledge your allegiance to a flag then you go right ahead. You have every right to. That’s called free will and your choice as a human being to choose. But remember this, you cannot serve two masters and their are repercussions for these choices. 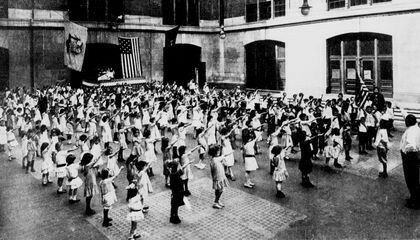 And as a Christian, if this is what you choose to do, you are pledging allegiance to a flag (idol) according to this flag code. The same flag code they wrote. The question will always stand. What side are you on? What master do you serve? I serve the Lord God of Israel and my saviour Jesus Christ. If you need to delete me then more power to you. Go right ahead. I’m not losing any sleep over it. I don’t need to be your “buddy pal”. So if you made it this far and aren’t pissed off and offended yet, then please read all of this. 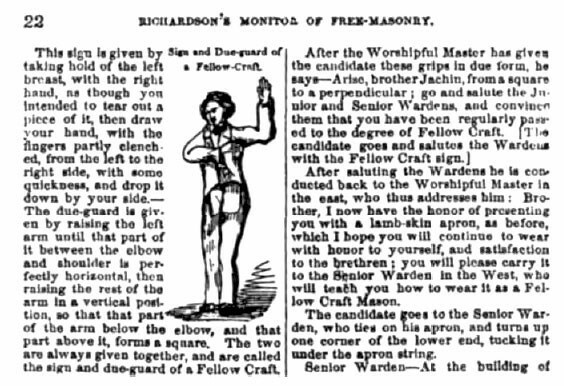 This comes from a paper I wrote on the Hidden Hand of Freemasonry. Its long but worth it and it explains why they do what they do. “And this brings me to the modernized American symbolism of the hidden hand. 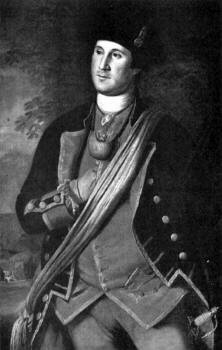 It is a fact that America was founded on Masonic principles. I’m not going to get into what god they dedicated this land to but I believe the ones who prevailed were Masons. This isn’t saying that their weren’t some Christians back then who believed and accepted Jesus as the Messiah, but those who didn’t had the stronger will of the two. That is how this country was formed. They were theists and those who believed in a deity. We just didn’t know what deity and what god they served. My assumption is Baal is who they made a covenant with. We can see Baal worship from pop culture to movies to groups like Planned Parenthood. To deny this is just plain ignorance. With all that said, according to the flag code, the American flag is a living entity. (para. 8(j)): “(j) No part of the flag should ever be used as a costume or athletic uniform. However, a flag patch may be affixed to the uniform of military personnel, firemen, policemen, and members of patriotic organizations. The flag represents a living country and is itself considered a living thing. Therefore, the lapel flag pin being a replica, should be worn on the left lapel near the collar. (A&B) Are military orders (C) is for civilians (C) ALL other persons present should FACE THE FLAG and STAND at ATTENTION with their RIGHT HAND OVER THE HEART, and men not in uniform, if applicable, should REMOVE their HEADRESSES with their right hand and hold it at the left shoulder, the HAND being OVER the HEART; and (2) when the FLAG is not displayed, all present should FACE TOWARD THE MUSIC and ACT in the SAME MANNER they would if THE FLAG WERE DISPLAYED. 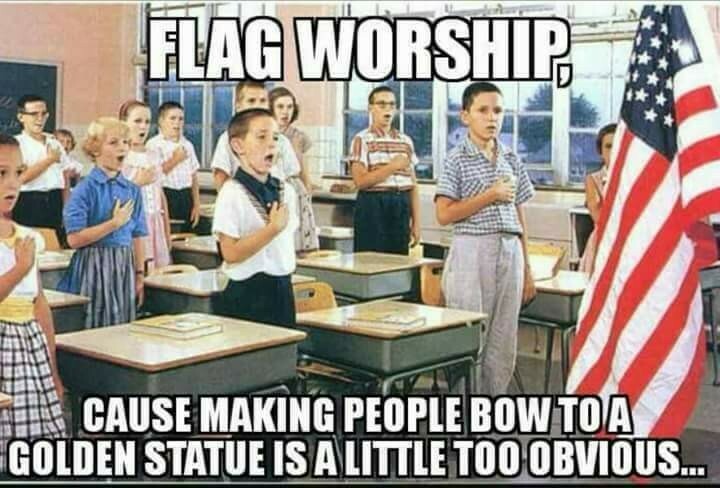 Difference being people don’t bow down, they ONLY>>> face the flag, remove their hat, place hand over heart to the living entity called the U.S FLAG standing at attention??What! ?<<<<You have to have NO sense of reality if you think that’s ok and that our MESSIAH would do that….. PERIOD. 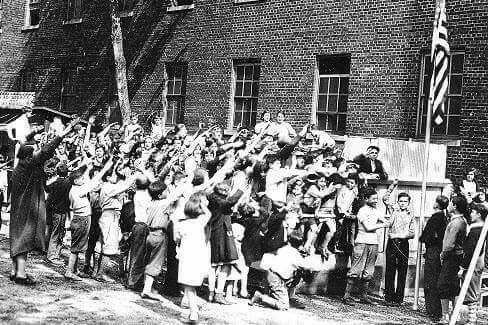 4 U.S. Code § 4 – Pledge of allegiance to the flag; manner of delivery. 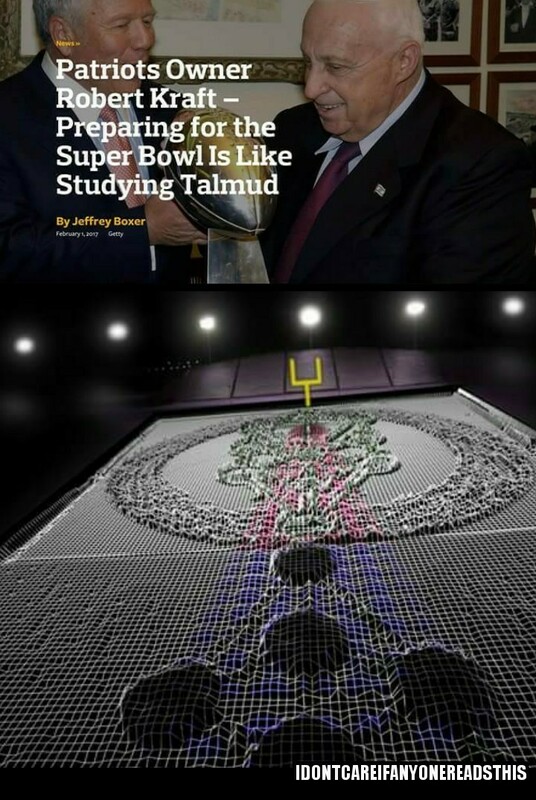 I will say this first, the writer of this article does not believe that the American tradition of putting the hand over the heart is not Masonic in nature. I would disagree but you need to decide that for yourself. 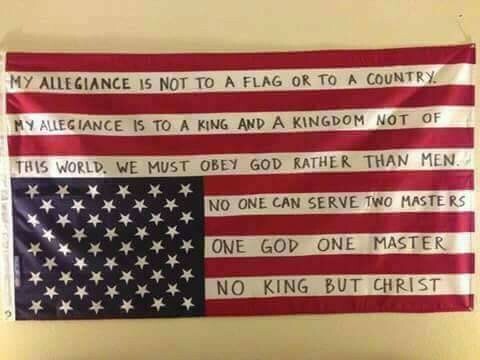 This country was started on Masonic ideas not Godly Biblical standards that come from Jesus. To hide your hidden hand and honor The Ba’al in the form of jaHBuLon or even HuBaL is one thing. That is for those initiates that outwardly and inwardly know what they are doing. But to show your hand is a sign of obedience. Its like kneeling to the king compared to standing. 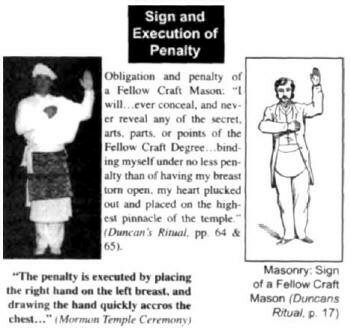 Masonry’ s homage to the heart by the Sign of Hand on Heart can best be understood by the fact that the leaders of the Masonic Lodge themselves boast that the rituals of Freemasonry hearken back to ancient Egyptian religion. The Egyptian Book of the Dead addressed prayers to “My heart of my mother…My heart of transformations,” meaning the source of rebirths. The Mother Goddess of Egypt was worshipped by various names — Isis, Hathor, Rhea, etc. She was the one to whom the people “gave their hearts,” meaning their heart-felt devotion and allegiance. As the Goddess of sacrifices, it was deemed necessary by her admirers that men should sacrifice their “energies” on her behalf. The Goddess was said to take possession of men’s hearts. Moreover, in the ritual ceremonies of the higher Masonic degrees, the Hindu pantheon of deities is honored as the true “Holy Trinity.”1 In the Hindu religion, the whole universe is said to be centered in the heart. The Yogi, in meditation, is claimed to be listening to the heartbeat of the universe, which is the great God Shiva’s beating heart. This expresses the basic oriental idea that divinity lies in the heart of every person, but needs to be “realized,” or awakened. Within the Illuminati structure, the initiate is taught in no uncertain terms that he must devote his whole heart to the “secret chiefs,” the top elite who comprise the Inner Circle. His life must be dedicated to the goals they have set, for they, in turn, are being directed by the Hierarchy, the spirit beings (Satan and his demons) who have given them The Plan. 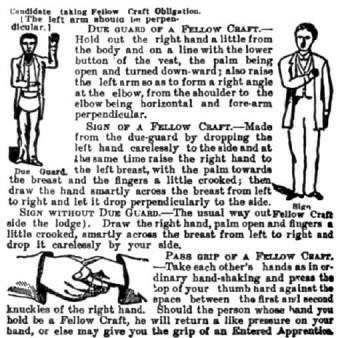 As the evidence points out in the illustrations in this section, the “hand on heart” sign has a number of meanings, depending particularly on the exact placement of the hand and the positioning of the fingers. As always, the left hand on heart indicates the sinister occultic path. The thumb extended upward leaving the hand squared in the “L” position signals fidelity, sincerity and being “on the square.” The thumb upward symbolizes the child-soul, the heart in subjection to higher powers. There is not only a freemasonic connection to this but an Egyptian connection. And more than likely, this Masonic connection comes from Egypt anyways. 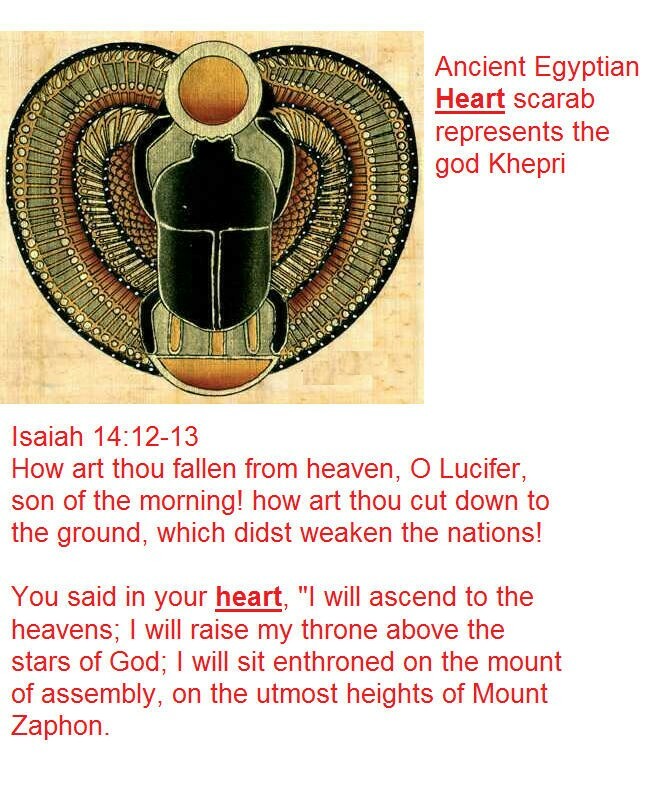 Khepri, the Egyptian god is symbolised as a heart. 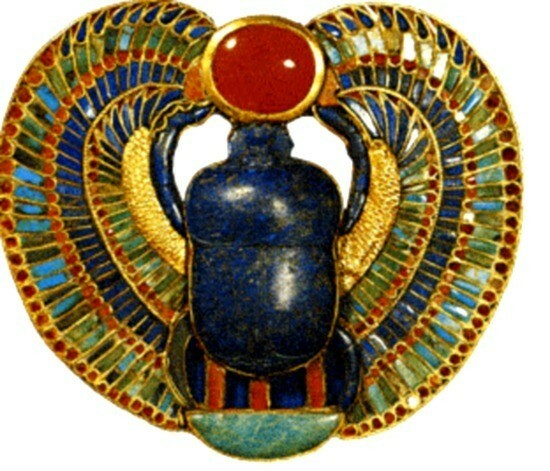 Khepri ḫprj is derived from Egyptian languageverb ḫpr, meaning “develop”, “come into being”, or “create”. You can see below of these Egyptian gods with there right hand over there heart. YES a lot of work went into this, but it is wrong. Will you or have you mourned or respected a parent or child being buried? Have you stood silent for a minute because 10 people were killed, or 50, or 2,000. Then how much more should you do for millions who were killed, and then how much more for millions who were killed for you? Red Skeleton, John Wayne and Johnny Cash have described good reasons to respect our Flag and country and it is nothing about politics. But even that does not come close. It is about the person who your very life depends on, who with you has spent days in partially flooded fox holes having to scan the horizon every second for hostiles while hoping some snake or other critter does not find its way up your pants. It is praying over and over to see the colors for the USA coming from a distance. and if help does get there in time, you get to see what is left of the bodies of your family who are closer than any parent, child or lover. They put what is left of their body in bags so they can send them home. They have a closed casket funeral, because nobody could bare to see what is left of their body. The flag they gave their life for is draped over the casket. After the service with the utmost respect and care, the flag is folded and given to a family member. No more hugs or kisses, or even pictures. All that is left is the American Flag. Was this utmost sacrifice made for politics or wealth, NO. This sacrifice was made for YOU. To live in the best country of the world. To make your own choices, to be judged by your peers, to worship or not worship anyway you like. To have the same rights and liberty as everyone else in our country. To give the people control of their government. To give you the right to protect your family and home. MOST Americans are heart broke if one person is killed protecting them, and much more if 10 are killed protecting them. So let me ask, what do YOU think you owe the Millions. A Christian Veteran Minister. Thanks for the comment Jay. I will answer you first based off of your last sentence. I owe no man nothing. I would die for my friends/brothers based on what Jesus said. He didn’t base that statement on a flag or country. It was not a blanket statement. We obviously have two different world views and I won’t debate that. That is free will to choose to think differently. I offered you facts on the flag that isn’t based on feelings or emotions. I might wear my heart on my sleeve but I won’t wear it on a flag like most Americans blindly do. Did Jesus honor Ceaser and render to Ceaser in all aspects, like standing at allegiance to an eagle standard or was Jesus just taking about taxes? Jesus would not and will not honor and stand in salute to any flag let alone an American one. You are wrong. Remember sir, every knee will bow and tounge confess to Jesus, not to any flag. My sacrifice was already done and His name was Jesus Christ. I like this article that produces wisdom.